Google Analytics may tell you that even though you’re bringing in new readers, they don’t visit your site a second time. While you may be producing blog posts regularly, incorporating SEO-friendly keywords, and paying for advertisements, your work won’t pay off until you attract regular readers that actually convert or make purchases. If you want to guarantee that your potential leads are going to click and browse around your site more than once, put these optimization tips into action. Your website design is the first thing visitors notice when they click onto your page. This means that it needs to look clean, inviting, and easy to navigate for people utilizing mobile and desktop devices. Avoid too many buttons and social icons, and do away with Flash, pop-ups, hover menus, and large images that may take a while to load on a mobile screen. Instead of using bold colors, go for a natural palette on your website that will differentiate your various pages from one another. Your typography should be simple and uniform, and it should work with a number of browsers. Don’t let videos auto-play, since that eats up data for mobile users and distracts desktop visitors. For some guidance, check out the website for Vox, which is simple and easy to navigate. According to Kapost, brands that post 15 blog posts per month average 1,200 new leads per month. Fresh content is what attracts visitors to your website in the first place and keeps them coming back. Aside from product launches or new items being released in your online store, why else would they return to an otherwise static site? Your content needs to appeal to your core demographic and their needs. You need to research and find out what nobody else in your niche is covering and then take it on. 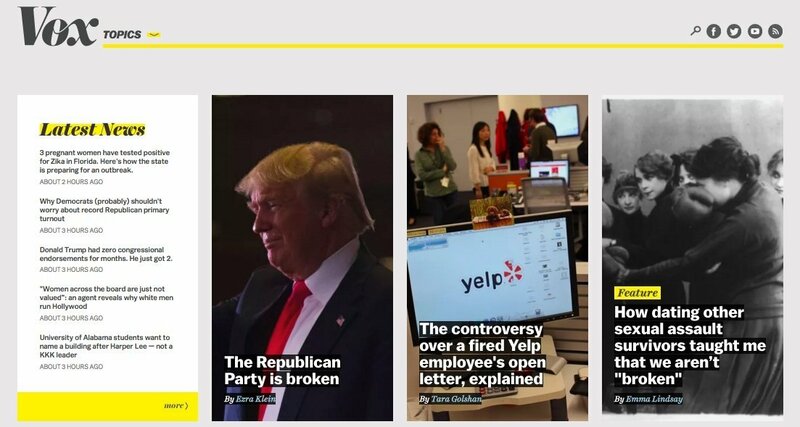 Look into what topics are trending and add your own unique spin on an issue within your blog. 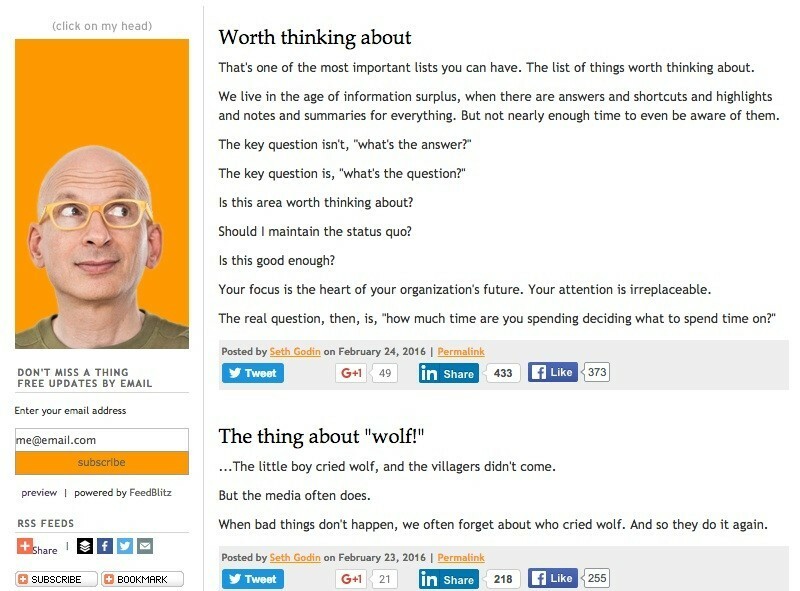 Check out Seth Godin’s blog for some interesting content that stands out in the world of marketing. Since he writes differently, he receives a lot of attention. 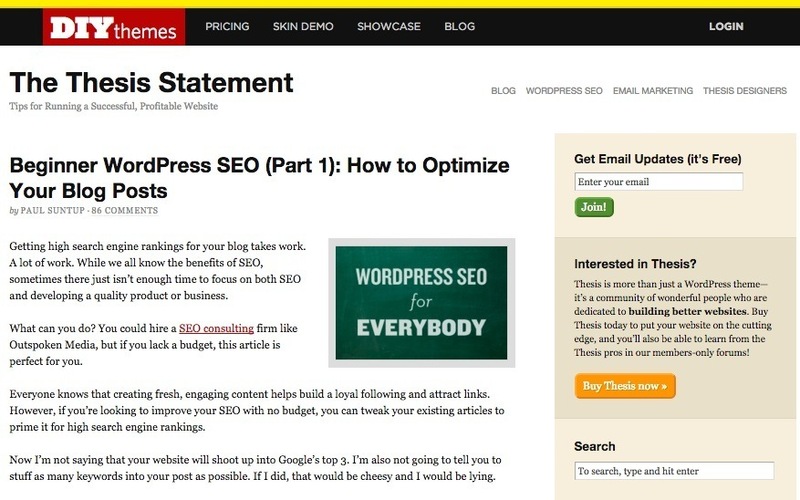 Visitors may not be 100 percent on board with your content. However, they might come back if they are offered something in return. Consider running a contest through your blog. You can then post a few separate entries about the rules of the contest and what the winners will receive, as well as announce the winners through your blog. You could also provide discounts exclusively to your blog readers, or give them access to your latest video or e-book that you’d normally charge for. While visitors are on your site looking for deals, searching for contest guidelines, or clicking on your e-book, they may just be persuaded to purchase from you, too. Just take a look at the blog Love, Mrs. Mommy and how the owner promoted a contest on it. To solve this problem, invest in a capable web host that can stand up to demand. Better yet, you can implement a content delivery network, which will cache content on data centers in different parts of the globe, speeding up delivery to users regardless of location. A CDN will also provide front-end fixes such as image optimization, compression, and minifying so that your website loads quickly, wherever visitors are accessing it from. Here is a display from Incapsula that shows how a CDN allows you to optimize images. Your website needs to include a call-to-action to sign up for your email newsletter. Then, when you send out your newsletter, only include snippets of your posts and links to the full posts within the emails. If these segments are compelling, subscribers will click, and you’ll increase your visitor count. 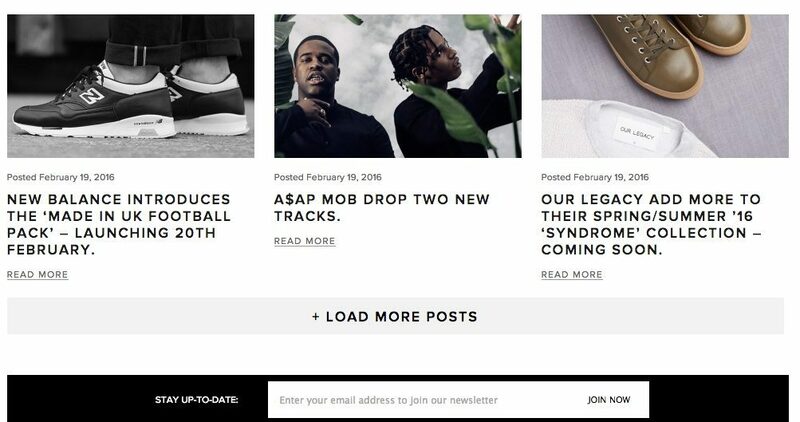 Make sure you can see the button or email sign-up form clearly, like on EndClothing.com. Why do people binge-watch Netflix shows or eagerly await the premiere of their favorite television show episodes from week to week? It’s because creators are telling gripping tales that get people to tune in. Treat your blog like these TV showrunners treat their shows. (highlight to tweet) This means revealing stories through your blog that span across multiple posts. For instance, you may want to conduct a study and release the results through a few posts over the course of a week. You can also discuss a relatable story with your readers that you split into parts. If you have exclusive information that no one else does, don’t give it up all in one post. This is what DIY Themes did on its blog. 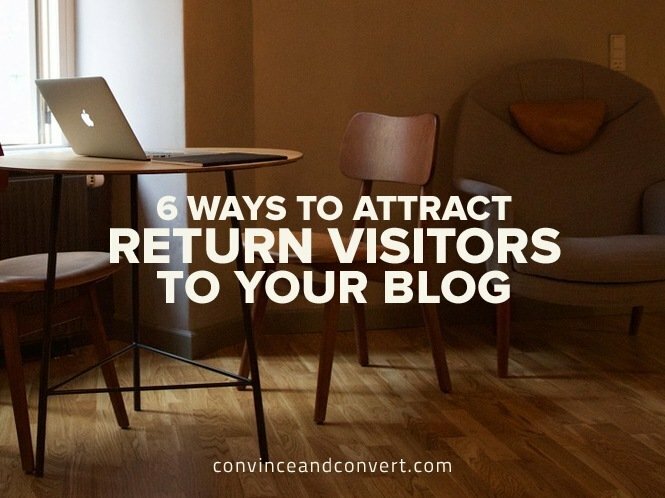 First time visitors are great, but return visitors are going to be much more loyal to your brand and more easily persuaded to purchase from your company. By drawing them in with excellent content, design, and follow-up methods, you have the opportunity to take your blog to the next level and beyond.